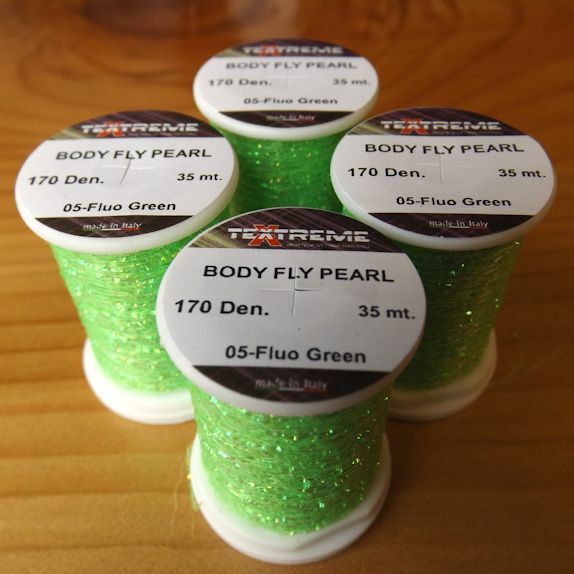 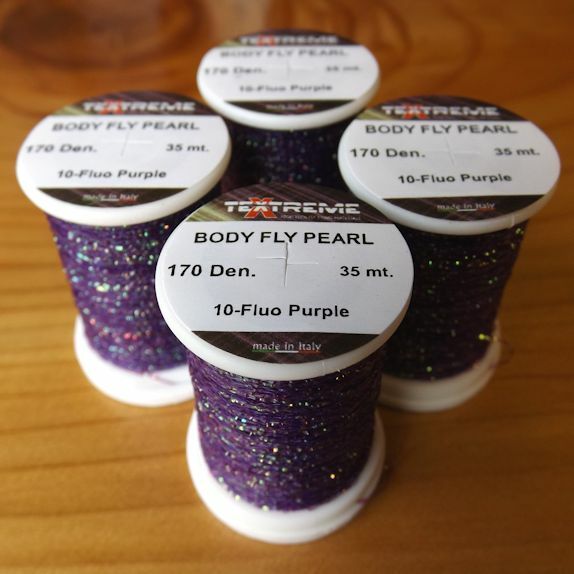 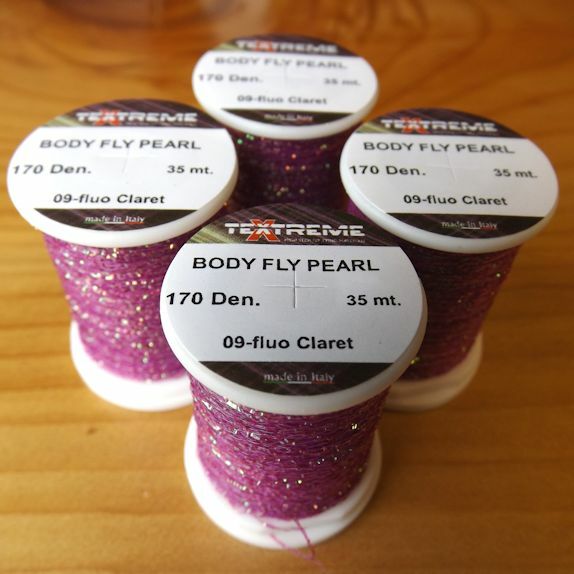 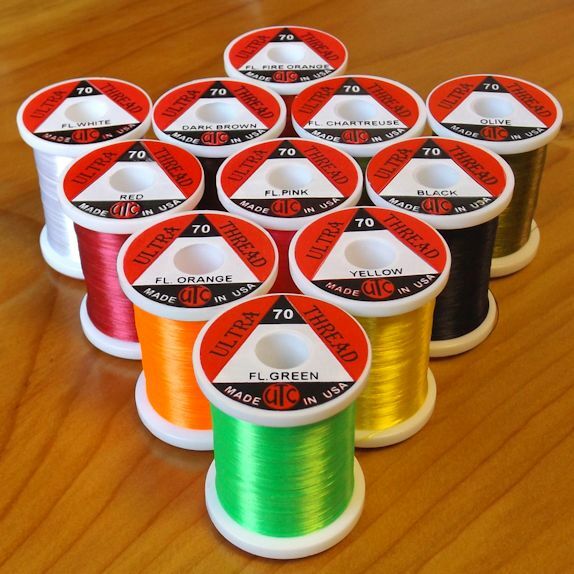 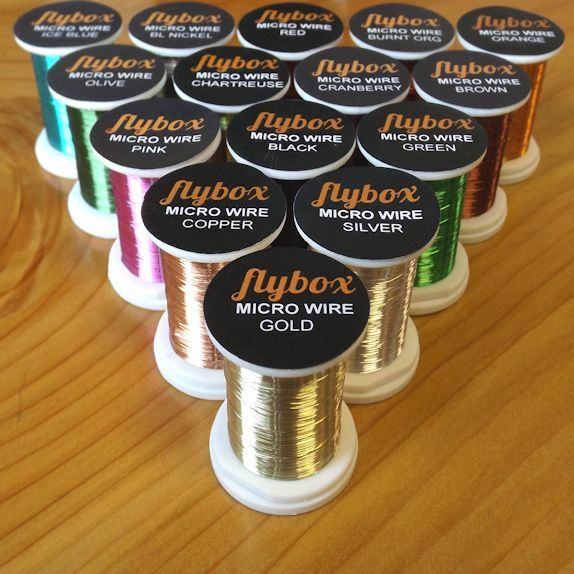 New from Textreme, Body Fly Pearl is a highly lustrous flashabou-based thread. 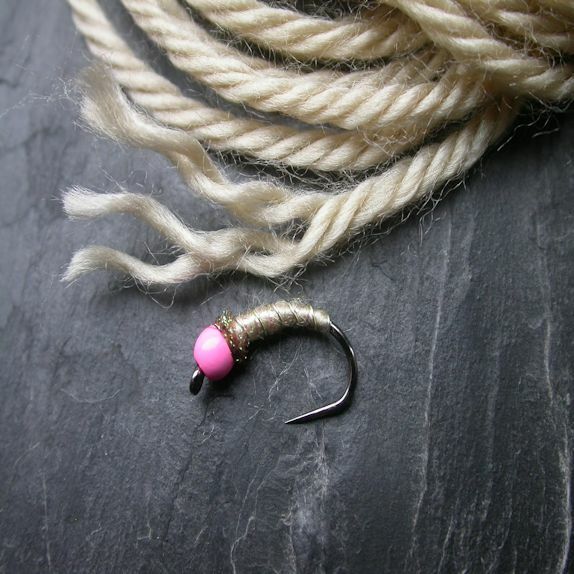 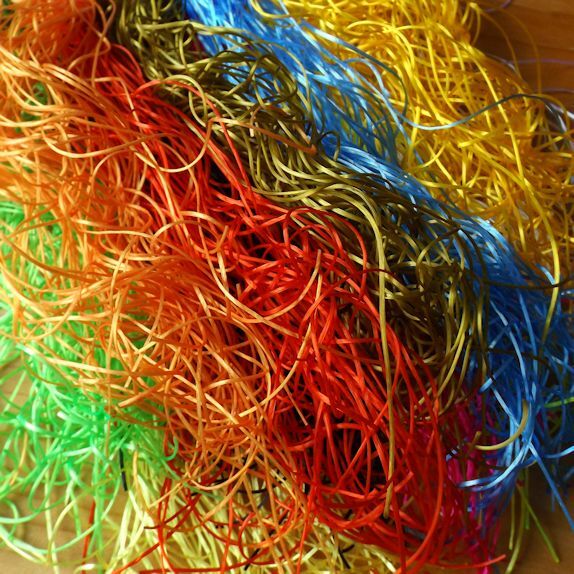 It comprises a single pearl flashabou strand bound by 2 supporting fibres which enable it be used as a thread. 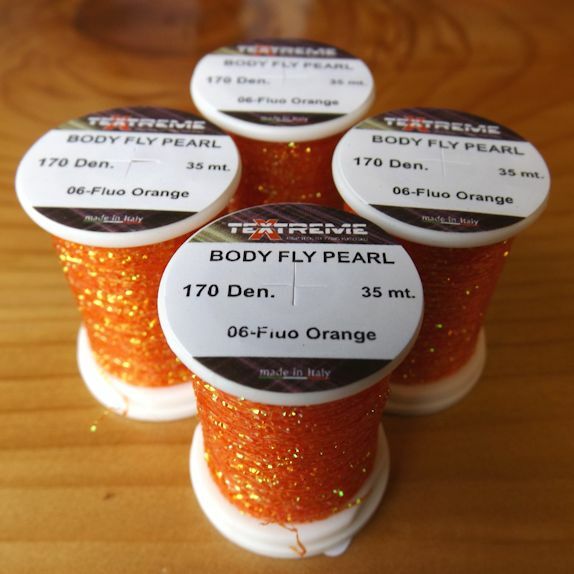 This material is brilliant for bodies or tails on both river and stillwater patterns. 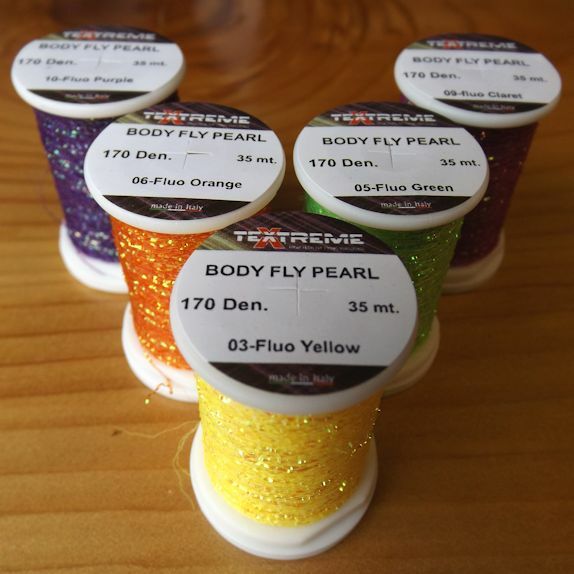 As this is a brand new product it is only available in a very limited colour range to start with, however more colours will be released in the coming months from Textreme.